Eximus is a bunch of real estate professionals who are well-known and well-reputed in Abbotsford, Langley and the Fraser Valley. In-depth knowledge and solid expertise in real estate field, we work with passion and analyze things very closely. From market analysis to negotiations; we put our effort to ensure that you will have what you want at the end. Eximus Real Estate Team has enormous experience in all kinds of real estate markets, and provide you result-driven recommendations and advice. Our realtors go out of their way to keep you updated throughout the sale of your home. And, most importantly, we will be honest with you so that you can make a right decision. 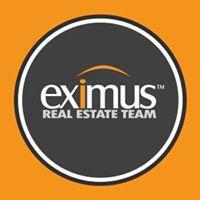 Need any recommendation or inquiry about selling or buying the home; Eximus is a right place. Just dial a number: 604-850-5040 or drop an email at randy@eximus.com; you will get respond soon.